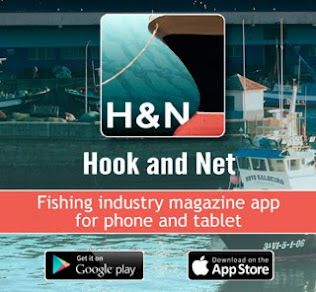 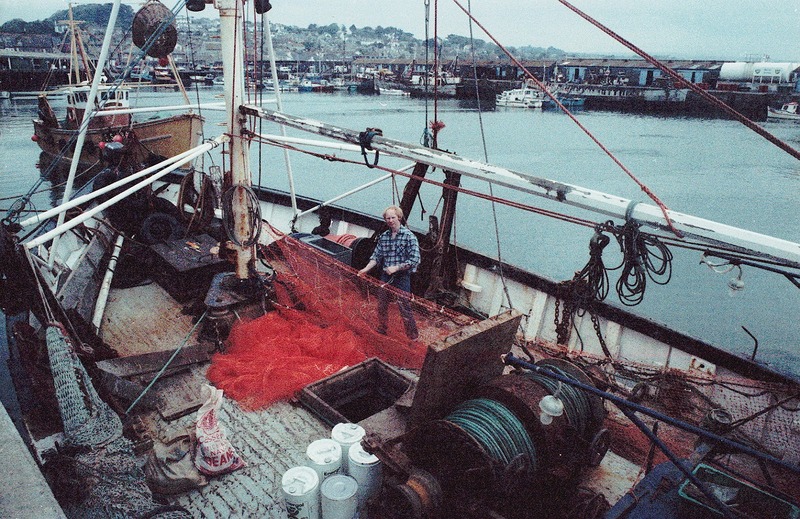 One of Newlyn's itinerant long-term visiting fisherman, Mervyn Mountjoy passed away on the 10th of January. 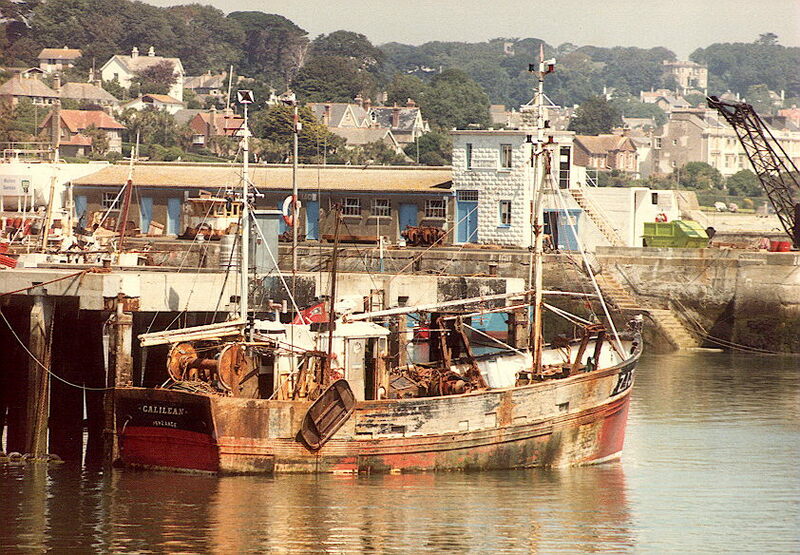 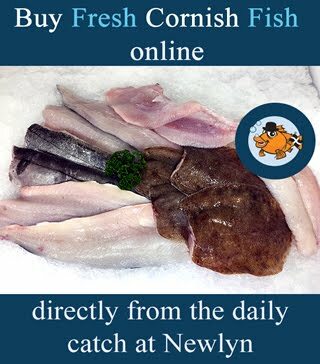 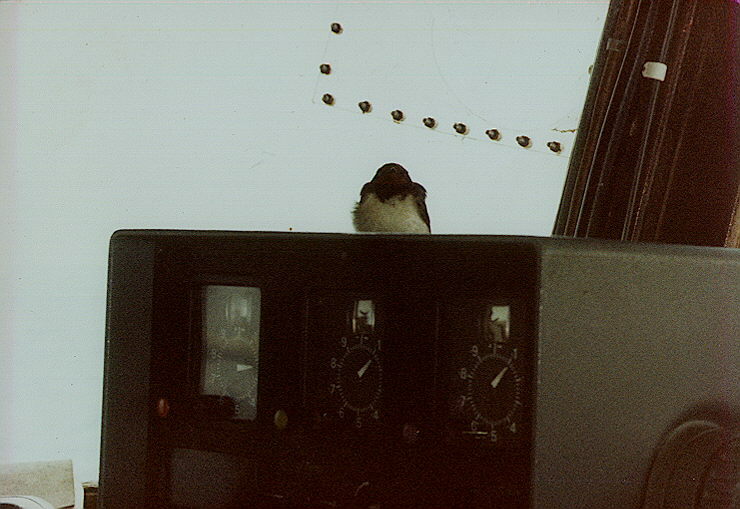 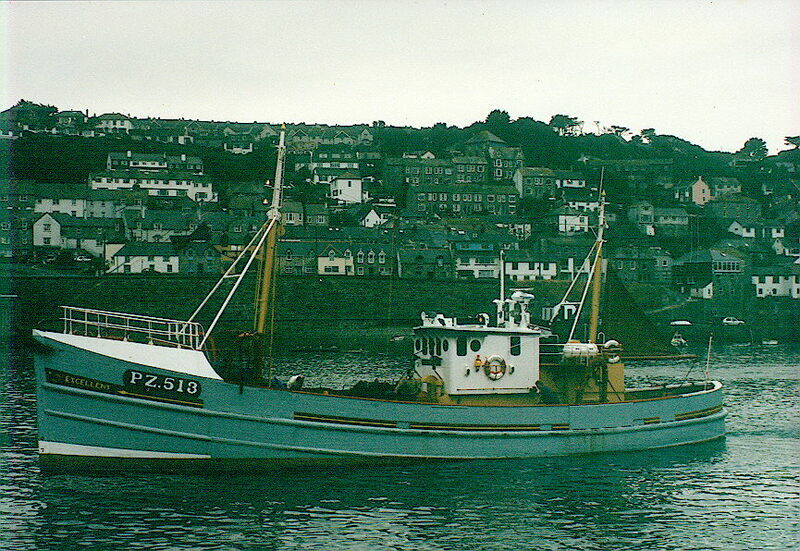 Although Mervyn hailed form Bideford he spent many years fishing from Newlyn and 'commuting' back home between longer trips. 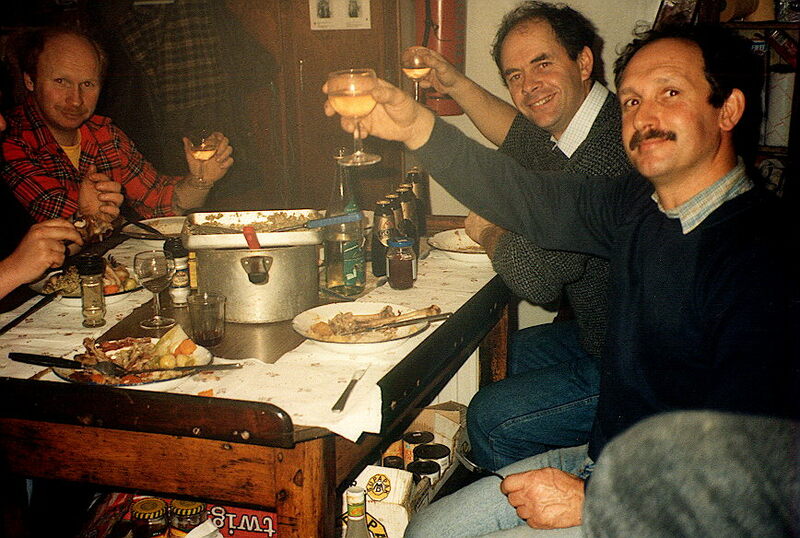 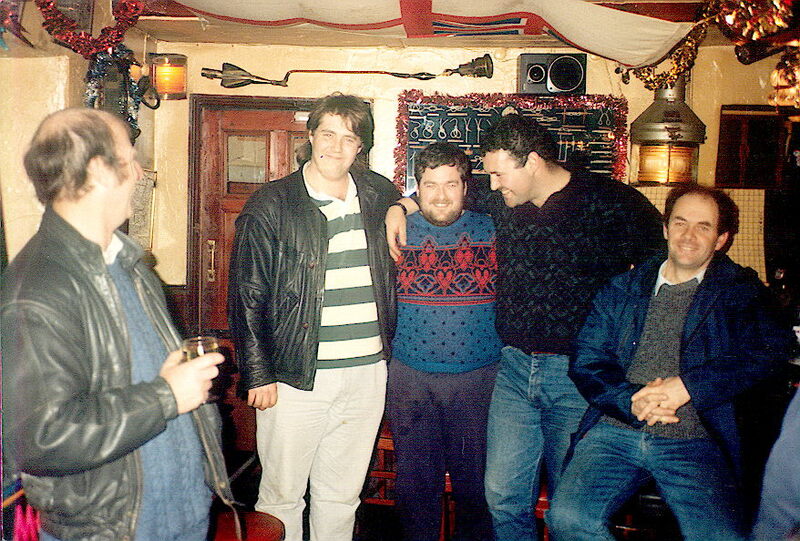 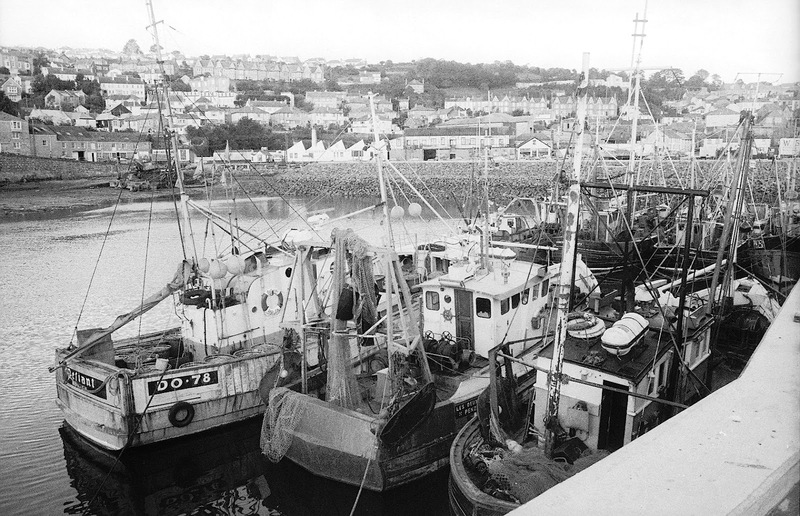 A quiet and quietly spoken man, Mervyn left long-lasting marks on the port in other ways. 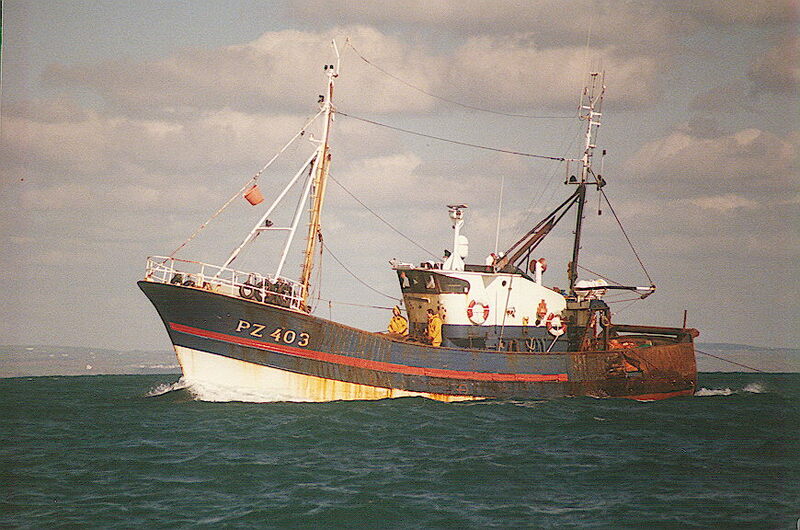 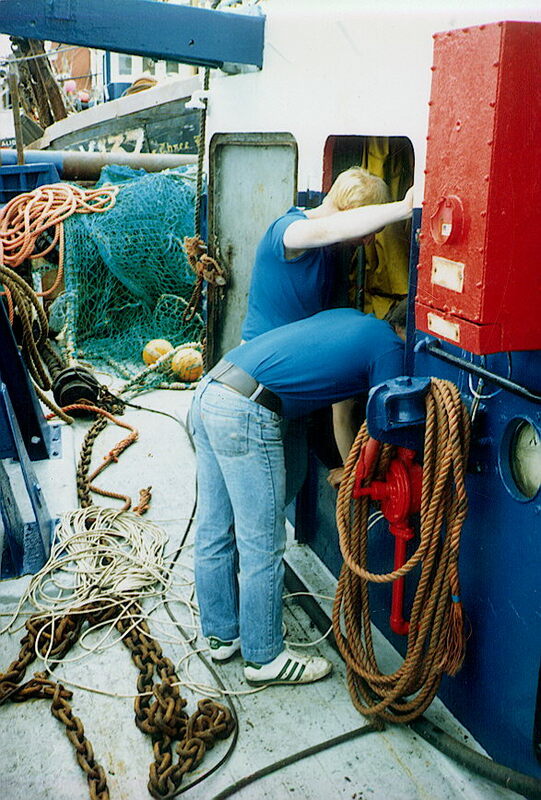 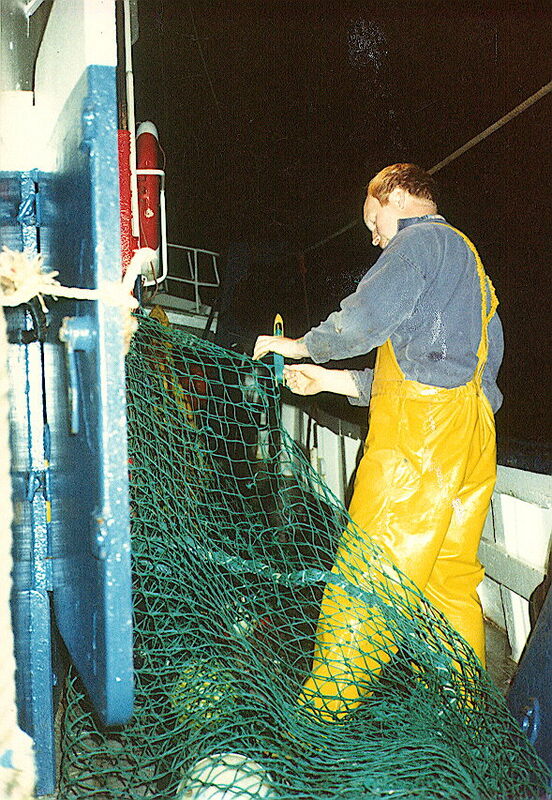 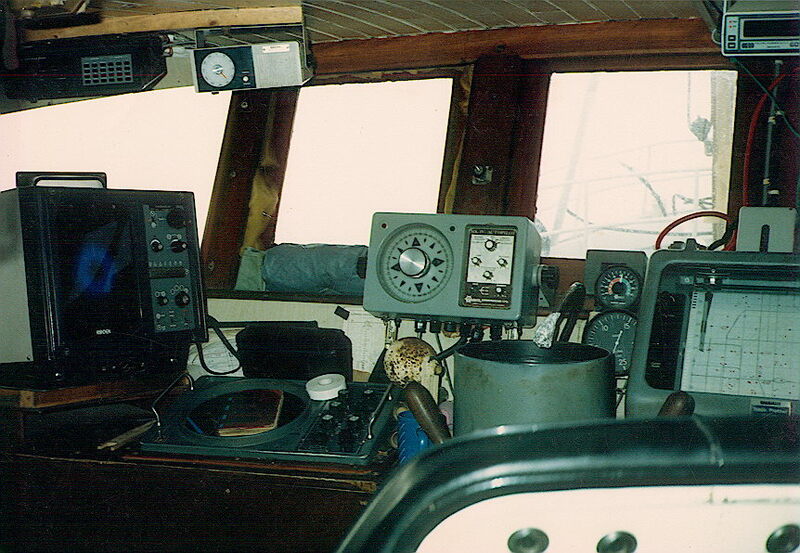 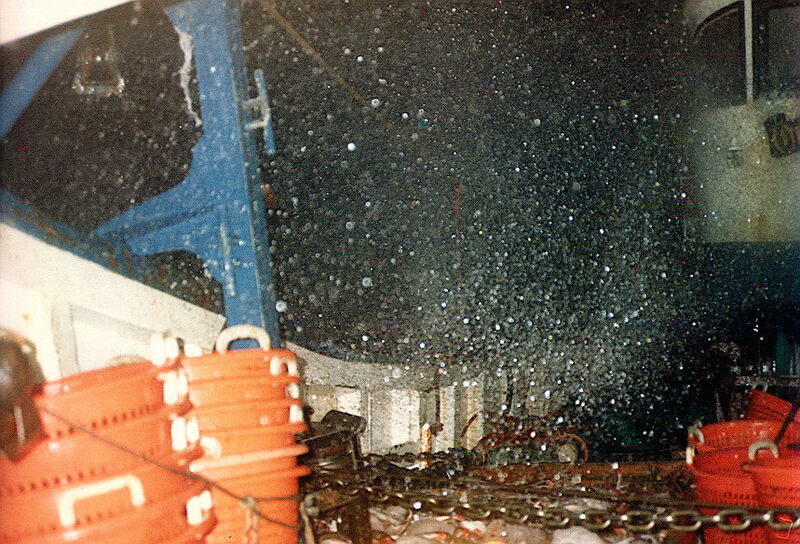 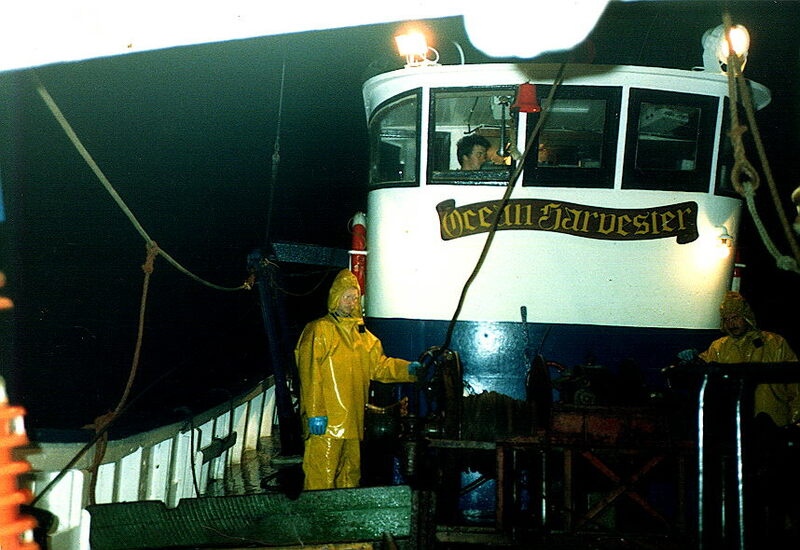 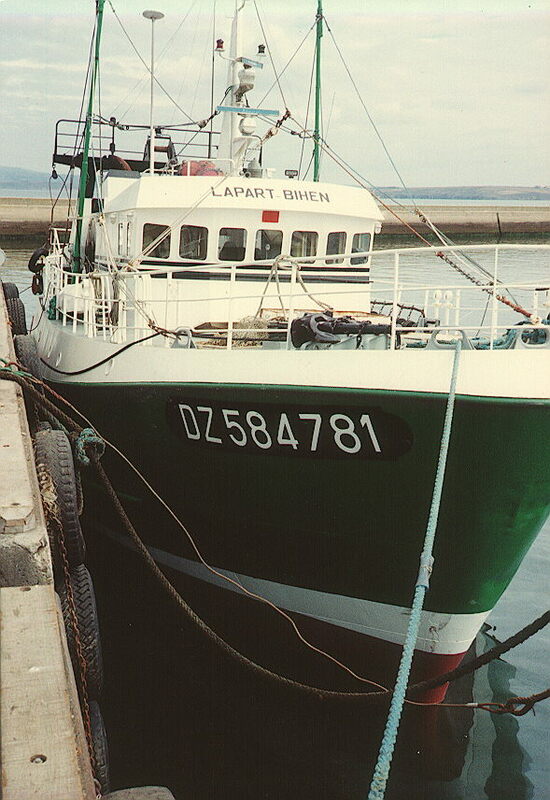 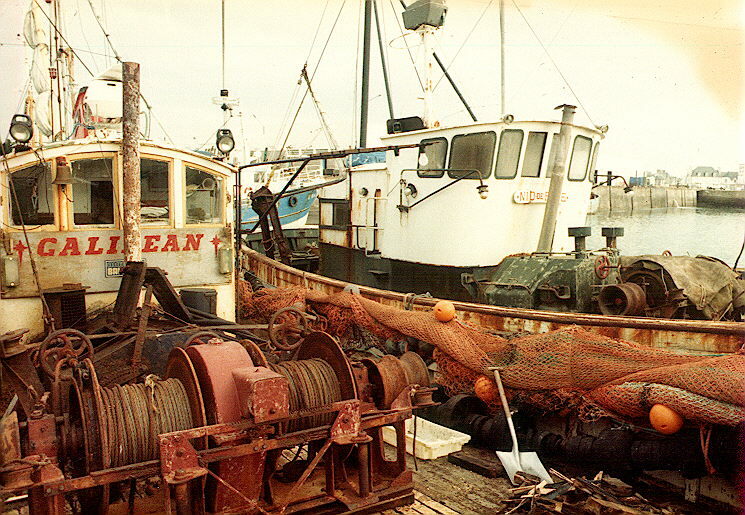 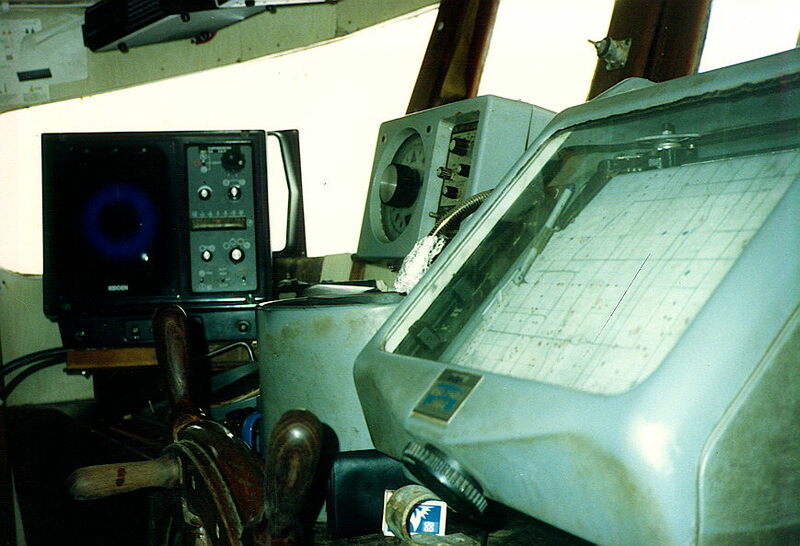 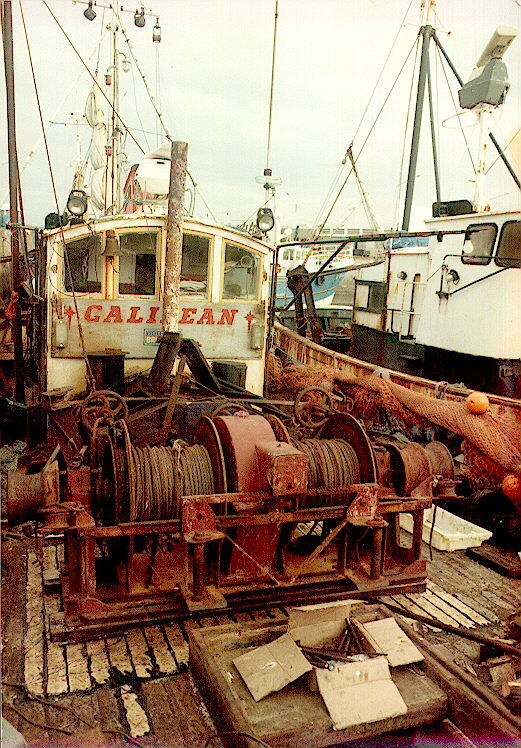 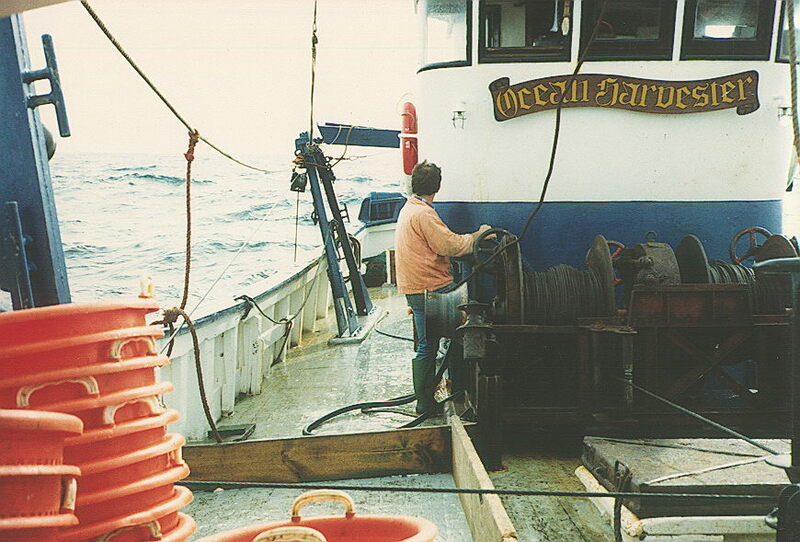 Ar Bageergan in 1996 in Newlyn newly rigged for line and pole tuna fishing - and netting. 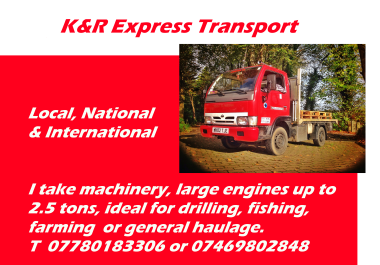 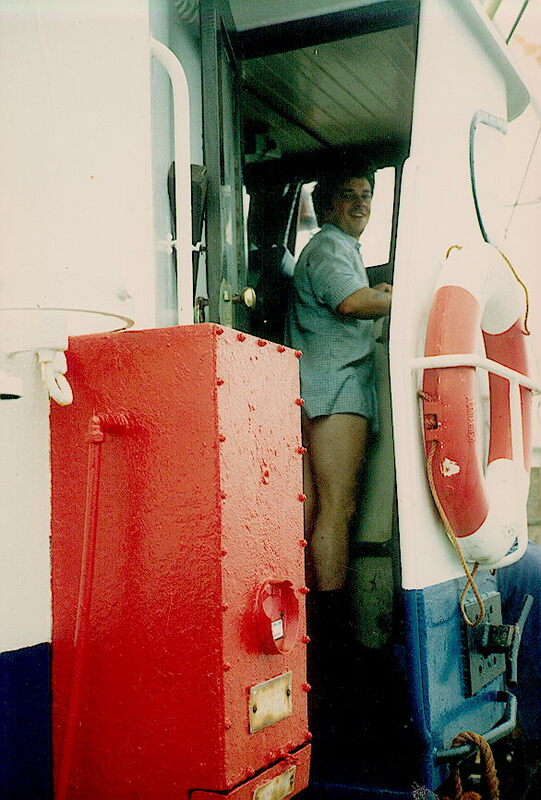 and of course sometime the problems got bigger necessitating more serious intervention from proper engineers! 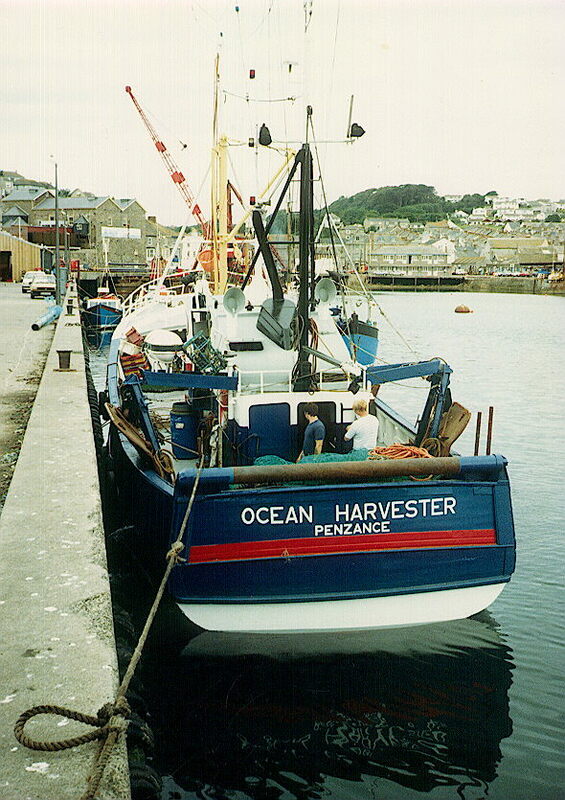 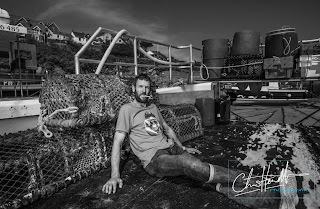 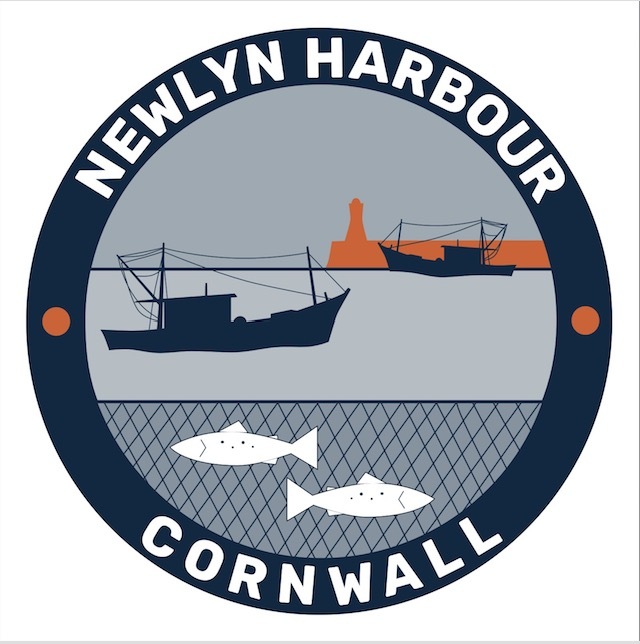 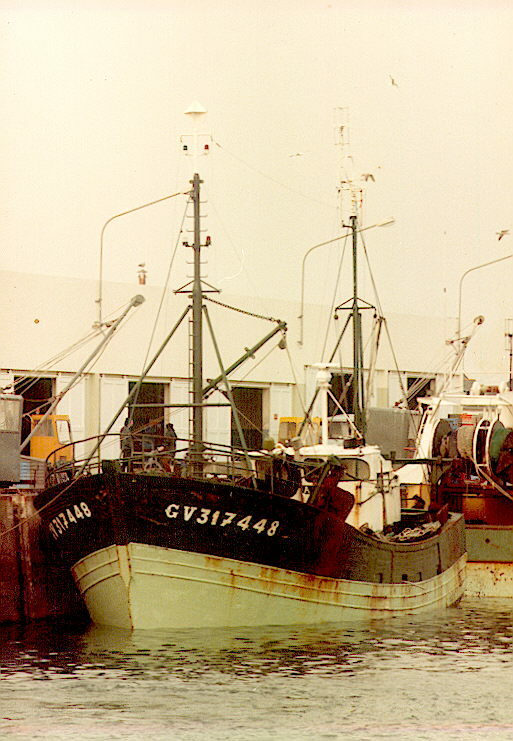 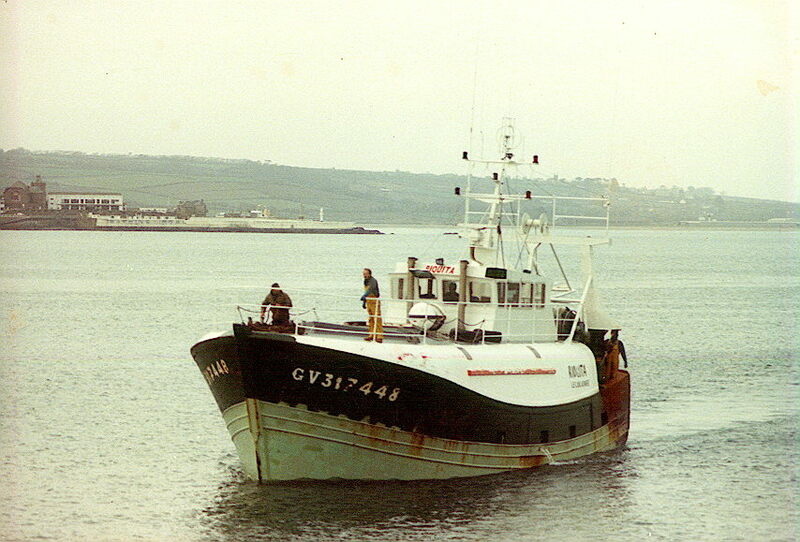 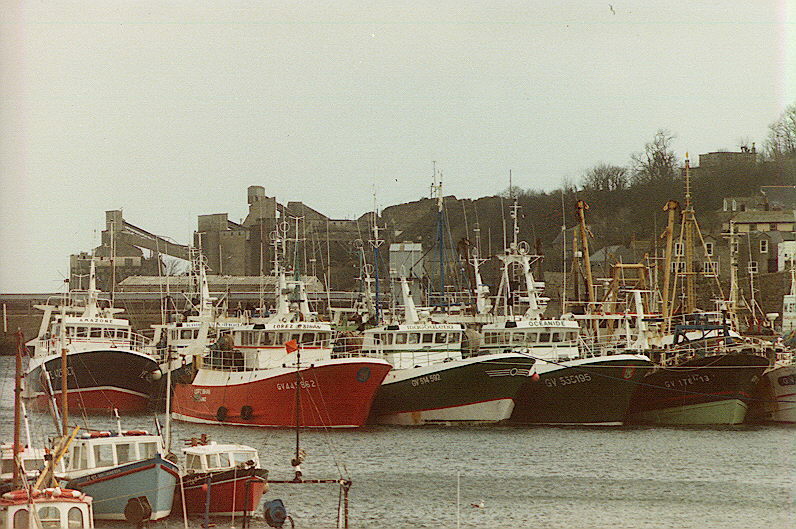 One time when trawling he slipped a disc at sea - when the boat managed to get back to Newlyn and alongside the quay he had to wait hours until high water as he could not straighten his back to get up the ladder to the top of the quay. 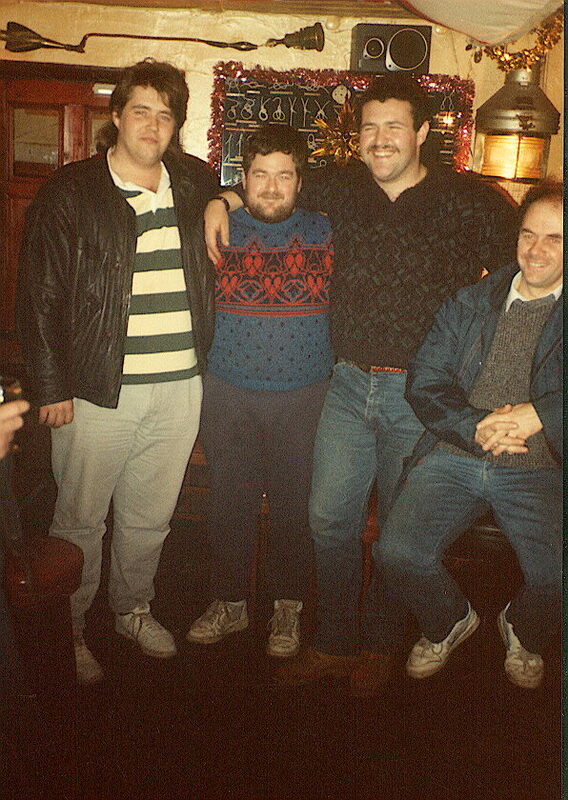 There is a service to celebrate the life of Mervyn to be held at Westward Ho! Baptist Church, on Wednesday the 28th of January at 11am.